The Board of Directors of Singapore Airlines is pleased to announce that Mr Goh Choon Phong will succeed Chew Choon Seng as CEO when Mr Chew retires at the end of December 2010. Mr Goh, age 47, joined SIA in 1990, after graduation from the Massachusetts Institute of Technology with a Master’s degree in Electrical Engineering and Computer Science as well as three Bachelor degrees, in Computer Science and Engineering, Management Science and Cognitive Science. He has served in senior management positions in Singapore as well as overseas, and is currently Executive Vice President for Marketing and the Regions, having been appointed to the post earlier this year after four years as President of Singapore Airlines Cargo. He is also presently Chairman of SilkAir. “The time is appropriate for renewal of the leadership in SIA. The business has regained ground lost during the recession of 2008-9, the company is profitable and on an even keel, and I have had the privilege of leading this wonderful organisation for over seven years. It is timely for me to hand over to the next generation and move on,” said Mr Chew. 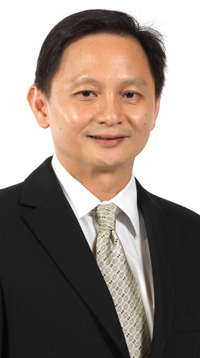 Mr Goh will formally take up the CEO position on 1 January 2011. He will join the Airline’s Board on 1 October 2010. The Board paid special tribute to Mr Chew, who became CEO in June 2003 and who upon his retirement will have recorded 39 years of service with the SIA Group. Chairman Stephen Lee noted that during his tenure as CEO, Mr Chew successfully steered the SIA Group through some of its most challenging times, including the SARS outbreak of 2003 and more recently the global economic downturn. “Under Choon Seng’s leadership, the SIA Group not only maintained its unbroken record of full-year profitability, it set new profitability records while remaining innovative, including through the successful introduction of the world’s largest aircraft, the Airbus A380, in 2007. With his numerous contributions over many years, SIA has consistently been the industry’s most awarded airline and one of the world’s most admired companies, with its unwavering focus on offering the highest-quality products and services,” said Mr Lee.